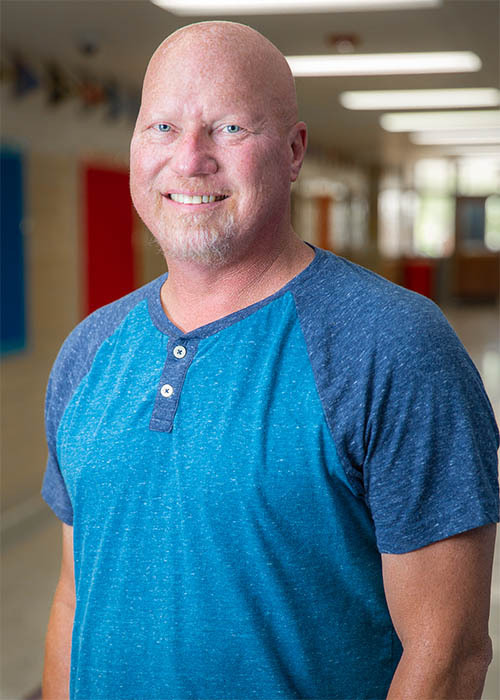 Donald Bush is the 5th and 6th grade Physical Education teacher at Tulsa Honor Academy. After graduating from Texas A&M University, Mr. Bush began his teaching career in 1993. His first teaching position was in Houston, Texas at St. Anne’s Catholic School. He taught Pk-8th grade Physical Education and coached Soccer, Basketball, and Baseball. During this time he finished his Master’s degree which led to a teaching position at Oklahoma Wesleyan University, where he taught Physical Education and Exercise Science courses and coached varsity baseball and softball. He then took a break from formal education when he took a position as Recreation and Outreach Minister, where he directed the churches recreation ministry. After this Mr. Bush was given the opportunity to work for a Para church ministry called Vision Onward. During this time he directed all aspects of a transitional housing program that provided housing for homeless families. Moving back into education, at Wesleyan Christian School, he taught physical education to Pk-12th grades and coached basketball. He has taught and coached for a total of 16 years at all levels of Education. Mr. Bush graduated from Texas A & M University with a BS degree in Kinesiology. He holds his Masters of Education degree from the University of Houston.